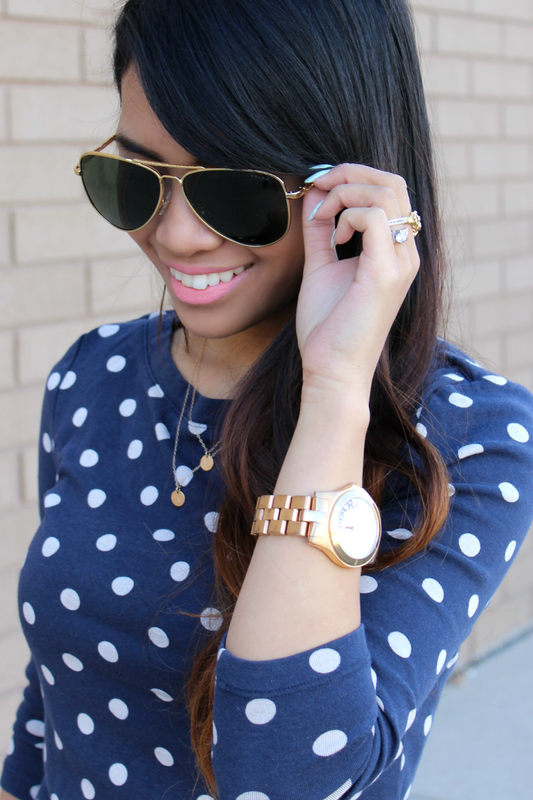 But just wanted to share a past look featuring these beautiful Ralph Sunglasses from Sunglasses Shop. They offer a wide range of great quality designer sunglasses. I've been on the lookout for a pair of aviators that matches my style and fits my face correctly. Sunglasses Shop gave me the ability to choose and customize my frames. I used to not wear sunglasses, no matter how sunny it was. But I am now realizing the importance of wearing sunglasses, and I can't leave the house without them. It is one of my favorite necessary accessories! I keep them in my purse, and love that it adds that much more to my outfit. love the polka dots!! and your lip color is gorgeous!